(Est. 2018) Geldmaat, which translates to “Moneybuddy” according to our generous tip provider, will be the new name of Geldservice Nederland, which has been the lead logistics service provider for ATM machines in the Netherlands. 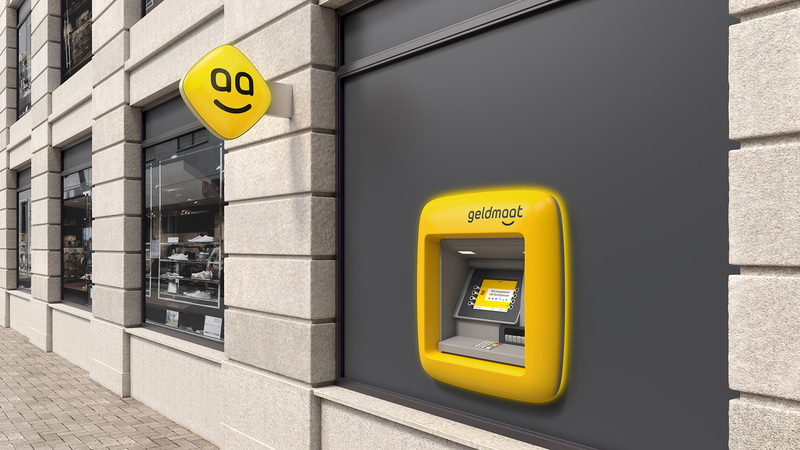 Geldmaat will be the new collective brand name for all ATMs from ABN AMRO, ING, and Rabobank with the goal of creating a “bank-independent ATM network to keep cash available, accessible, affordable and secure in the long term”. They will start appearing in the first quarter of 2019. The old logo for GSN was pretty terrible with a very forced combination of letters and an unappealing concentric circle icon cut in random places. But being a business-to-business brand (and probably with little to no competition) it didn’t matter as much. In becoming a consumer-facing brand and representing three major bank brands, the old name and logo were clearly not gonna cut it. The new approach overcompensates with a very friendly name and a logo that, a little creepily, looks at you with wide eyes and a dubious smile. Execution-wise it’s good, with a decent rounded sans serif and a smile that matches the weight (which isn’t hard to do but not surprising if some other logo didn’t get that right). Impression-wise, the face is a little disturbing with eyes that look like they have recently enjoyed a recreational substance of some sort, which becomes even more pronounced when the face icon is on its own. However, I can see the appeal of the solution to the company and banks involved and possibly it’s just me with the adverse reaction to the face. 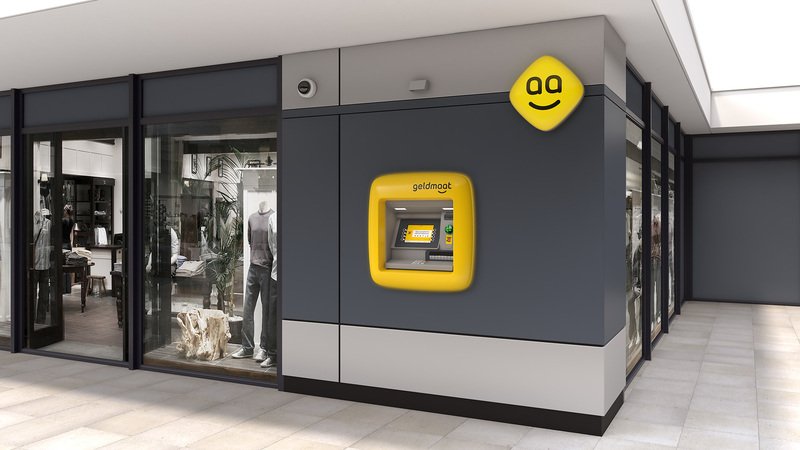 In some positive feedback: the yellow choice is good and the ATM machines will stand out nicely. Thanks to Marc Nijborg for the tip. (Est. 2018) Geldmaat, which translates to \"Moneybuddy\" according to our generous tip provider, will be the new name of Geldservice Nederland, which has been the lead logistics service provider for ATM machines in the Netherlands. 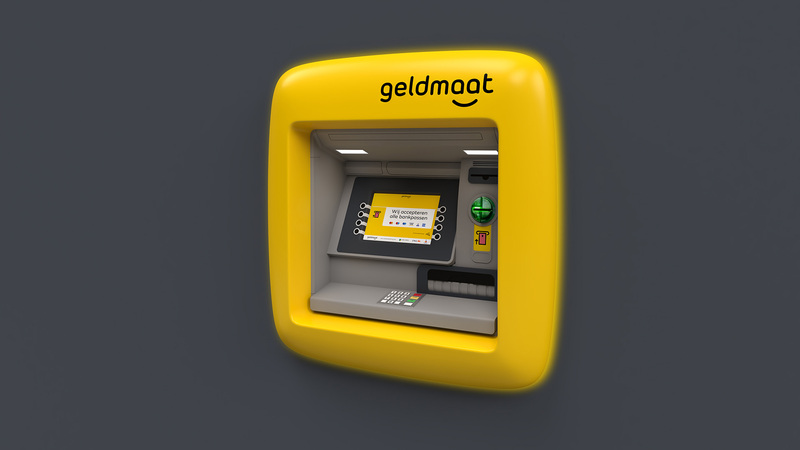 Geldmaat will be the new collective brand name for all ATMs from ABN AMRO, ING, and Rabobank with the goal of creating a \"bank-independent ATM network to keep cash available, accessible, affordable and secure in the long term\". They will start appearing in the first quarter of 2019.